^^ His minion is holding an ice cream cone with an American flag on it...so it's patriotic, right?! 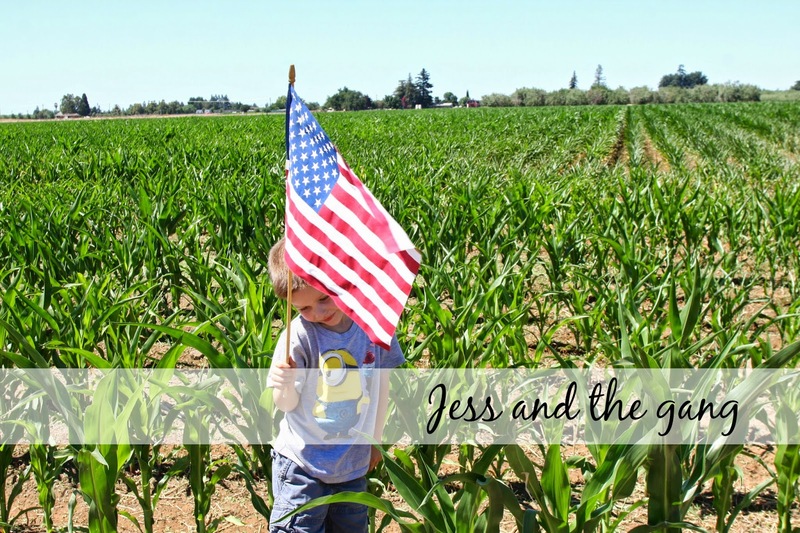 Like normal Americans, we spent out 4th of July running around in corn fields. Ok, so maybe my mom thought it would be a fun photo op, so we drug my kids and my nephew over to a corn field (which is right by my parents house) to take some pictures. Our day was busy, filled with family, food and fireworks. 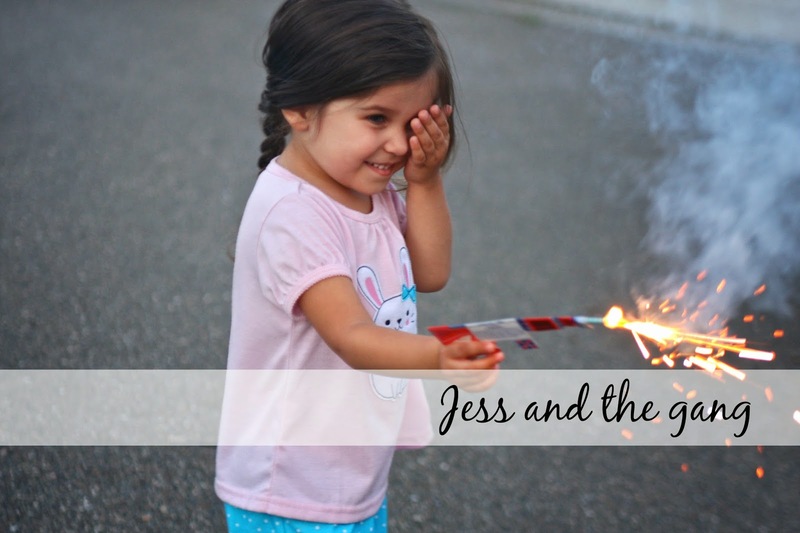 We took the kids to a fireworks stand where my parents friend hooked us up with way more fireworks than needed for a two and four year old. 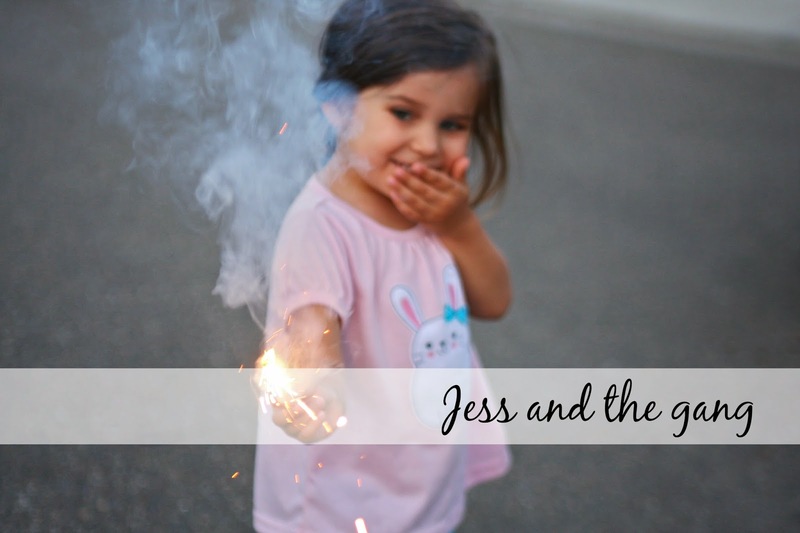 Especially, when it turned out, Connor is still afraid of fireworks and Isla only tolerated the loud ones...though loved herself some sparklers and illegal fireworks in the sky. My parents neighbors put on quite the show with illegal fireworks. They were incredible. Like I said, Isla loved it, but hated the noisy little ones we set off in the street. Connor spent the evening in the house. We tried letting him watch from the car for a bit, then he asked to go inside. We ended up staying out until 11pm...because who can leave in the middle of a war zone crazy fireworks display?! The kids were all happy until we told them it was time to go home. Then the fun meltdowns began. Thankfully, we had a totally chill Saturday to recover from our long day. On the subject of the 4th of July, I would like to add how thankful I am for my freedom and for the men and women who risk their lives everyday to protect that freedom. sounds like a great fourth of july! 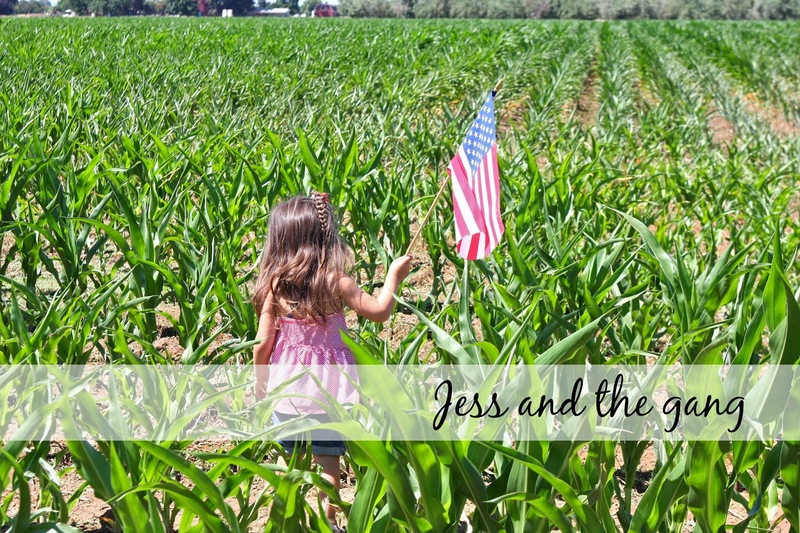 and could there be anything more iconically american than the stars and stripes in a cornfield?